The scene of the crime still stained with Tyagi's blood. 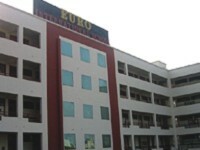 In a first of its kind ghastly incident in India, two Class VIII students of Euro International School in Gurgaon (neighbouring Delhi) recently shot dead a classmate on the school premises. 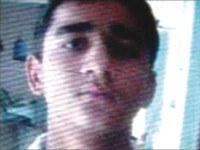 Apparently the victim, 14-year-old Abhishek Tyagi used to bully the duo and they decided to take matters into their own hands--the mastermind had smuggled his father's licensed revolver into his socks and fired four rounds point blank while the other shot one round. Various theories about the horrifying incident have been floated around. One is the phenomenon of bullying. Educationists say that bullying encompasses factors such as verbal teasing and physical violence. It is usually a manifestation of aggressive tendencies. Boarding schools, in particular, are a hotbed of bullying. “The law of the jungle,” is how one parent described the environment in his son's residential school. What's worse is that when the younger ones, the usual targets of such harassment, go to the senior classes they themselves become perpetrators of bullying. “We had to silently endure the bullying, so why shouldn't we do the same?” says one schoolboy. And so it goes on-- though schools are trying their utmost to weed out this phenomenon. Indeed many international studies have shown the deleterious effects of an overdose of TV violence on children and teenagers--ranging from the young ones becoming immune to the horror of violence, accepting violence as a means to resolve problems, imitating TV violence and identifying with certain characters, victims or victimisers. In India a new form of aggression has surfaced with Paintball, a game in which players on one team seek to eliminate an opposing team by marking them with a soluble dye shot in capsules from air guns. The question mark over the shocking incident is the proliferation of gun licences issued to Gurgaon residents--almost triple over the last two years. From a mere 95 in 2005, the number of licences given by the Gurgaon District Magistrate's office has escalated to 249 the following year. Since January this year it has crossed the 288 mark. In fact say observers, possessing a gun has become something of a status symbol. Much of the problems could be solved, says Madhulika, by giving children an outlet for their energies. Gone are the days when the young ones would just play outdoors a couple of hours or go cycling around the neighbourhood. Instead they are ferried around for sports in planned and organised waytaking the joy from spontaneous fun. This is where the schools come in. Schools like Tagore International offer facilities such as taekwondo, aerobics and yoga to their students. Counselling too is the need of the hour. There is a consensus of opinion that with better counselling the two boys may have desisted from resorting to such drastic action. Unconditional emotional support from parents is another factor that comes into play. No family members have visited the main accused Akash, who is now in an observation home for juvenile delinquents. Educationists believe that they should have stood behind him solidly in his darkest hour and provided him with constant reassurance. The other boy is more fortunate; his mother has visited him. The comforting fact is that most observers are of the opinion that this is a one-off incident and not a precursor to a spate of violence as in US schools. Meanwhile, the media should refrain from going overboard and panning in on disturbing images about such cases day after day. This will put the incident in perspective and build popular opinion against such horrific violence.